We are a friendly adult concert band playing a wide variety of music ranging from classical to film scores, through swing and jazz, to original works for wind band. Our members range from students to retired people from all walks of life, but all enjoy playing together while improving our standard and broadening our repertoire. We play several concerts a year, including summer outdoor events and Christmas carols. Rehearsals are at Emerson’s Green Library, South Gloucestershire on Mondays from 7.30 – 9.30 pm. We always welcome new players of at least Grade 6 standard. We are always on the look out for performance opportunities and new venues to play at. If you are interested in booking us then please get use our contact page to get in touch. 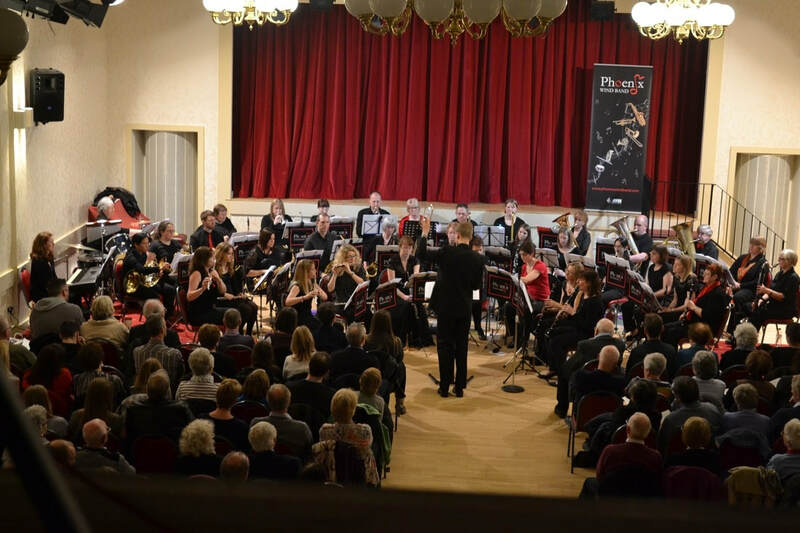 Phoenix Wind Band is a member band of Avon Wind Band Association, a registered charity that promotes music and offers adults the opportunity to learn a wind instrument. If you have not yet reached Grade 6 standard, there may be another band within AWBA that would suit you.